In a post this week which has set the internet ablaze, Twitter announced that it will now allow users to toggle the platforms algorithmic timeline on and off. If users now uncheck the box titled “Show the best tweets first”, their feed will revert to a reverse-chronological order. This week, Youtube announced that it will be rolling out new vertical video ads, which allow brands to “provide a more seamless mobile experience”. 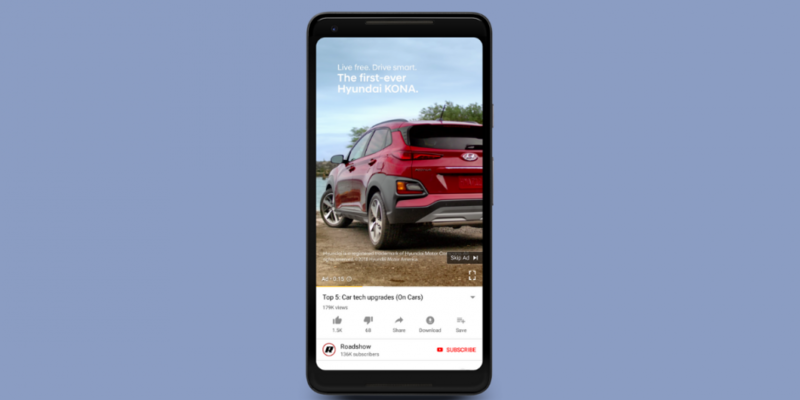 YouTube’s chief product officer Neal Mohan said that, when used in combination with the Google-owned platform’s classic horizontal video formats, the test campaign to promote the automaker’s most recent SUV model resulted in a 33% uplift in brand awareness and a 12% uptick in purchase consideration. Considering 70% of all YouTube videos are consumed on mobile devices, this move aims to stay on viewer trends. 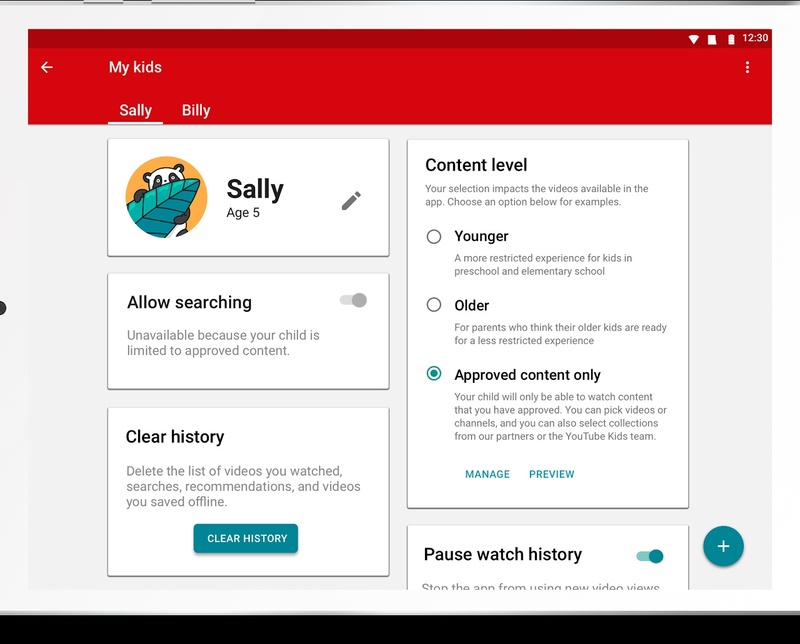 Similar to a story we wrote about Instagram last week, Youtube has released some new tools to help parents better control what their kids are watching. 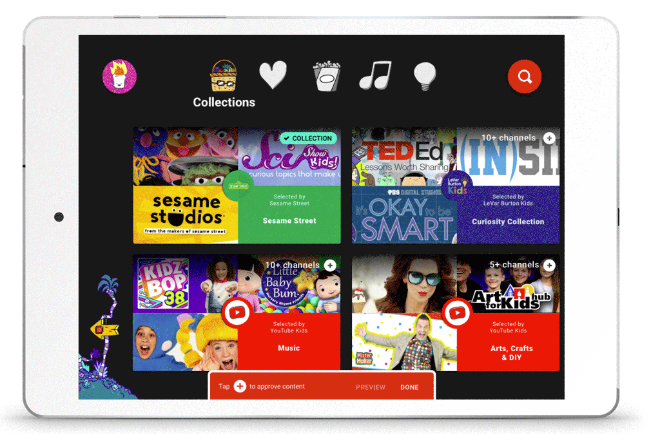 Youtube kids will now list content in age-appropriate categories and include a new ‘Parent-approved” section, which enables parents to hand select or omit specific channels. According to the Facebook team, last year there were more than 450 million views of Black Friday and other related videos over the Thanksgiving shopping weekend. To take advantage of this staggering audience, Facebooks is introducing new creative enhancements which aim to help advertisers make their products more visible. Today, we’re expanding overlays so that advertisers around the world can build customizable creative templates for their dynamic ads to showcase products in more compelling ways. For example, if a retailer wants to create a Black Friday campaign with a product catalog, they can now create their own Black Friday overlay to more visually promote discounted products. Two major retailers that tested the new decorative borders increased their return on ad spend by 40% each. They have also released holiday specific templates in the video creation kit, making it easier for businesses to create mobile video ads. The Facebook Code team has built and now rolled out a new system which aims to better understand text which appears on images. They see this as being vital for improving experiences for relevant photo search, or the incorporation of text into screen readers for the visually impaired. Additionally, they went on the say that it helps their system more proactively identify inappropriate or harmful content. To address our specific needs, we built and deployed a large-scale machine learning system named Rosetta. It extracts text from more than a billion public Facebook and Instagram images and video frames (in a wide variety of languages), daily and in real time, and inputs it into a text recognition model that has been trained on classifiers to understand the context of the text and the image together. They have transparently provided a full explanation of how the machine works at this location for those of you who want to dive down the rabbit hole. I can safely say its way above my understanding. After receiving considerable pushback over advertisers content being shown alongside controversial material, Facebook has expanded placement controls. These new features will include a block list to remove specific publishers and apps from ad delivery, and the ability to exclude brand-sensitive content categories from ads across Facebook in-stream videos, Instant Articles, and Audience Network. Additional features will include a Publishers list, which will share a full list of publishers monetizing their sites and apps on Audience Network so advertisers could review and determine if there were any sites and apps they did not want their ads to appear on. Lastly, a publisher delivery report will be included which allows advertisers the ability to view a complete list of publishers sites and apps where their ads appeared on. Unfortunately, LinkedIn is the target of bad actors who constantly try to create fake accounts. There is a wide range of sophistication behind these bad actors and the intent varies. Fake profiles can be used to carry out many different types of abuse: scraping, spamming, fraud, and phishing, among others. By preventing or promptly removing fake accounts on the site, we ensure that LinkedIn members are protected. 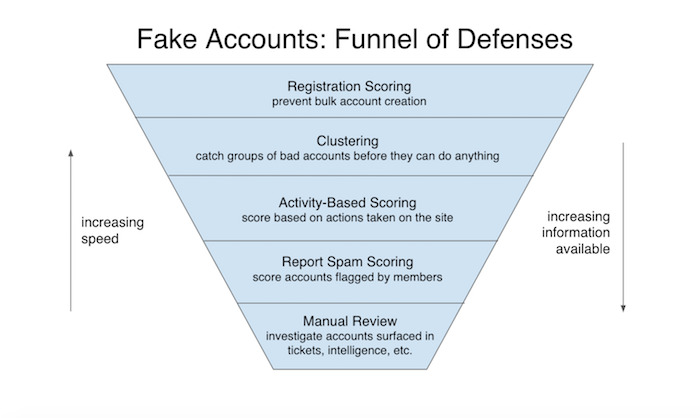 According to the article published this week, every new user registration is evaluated by a machine-learned model, which calculates an ‘abuse risk score’. Those with a low score are allowed to register immediately, while those with a higher score may be prevented from opening an account. 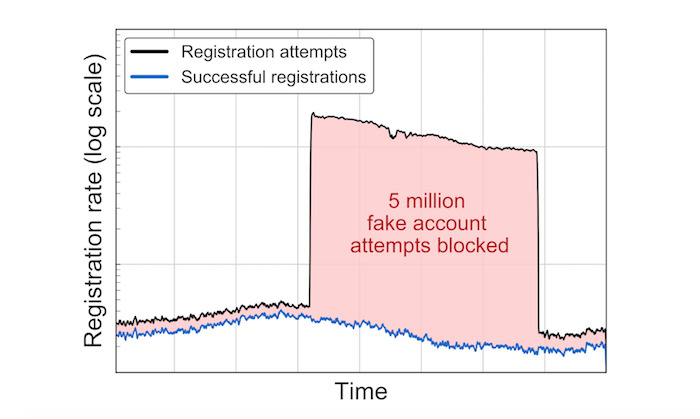 They provided one graphic which depicts an attempt to create 5 million fake accounts in a single day! The statement went on to emphasize the importance of a human element in catching fake accounts. LinkedIn still relies on its members to act as site admins, reporting suspicious activity. We’ve all had time to kill on a flight. When I travel with Delta I can take advantage of the free inflight entertainment which now lets me choose select LinkedIn Learning courses, watch interviews from some of the world’s top leaders with LinkedIn Editor-In-Chief Daniel Roth’s Influencer Interview series, or pick up the Delta Sky magazine and read the “5 Minutes With” Q&A series by LinkedIn Managing Editor Chip Cutter, spotlighting notable leaders in business. LinkedIn hopes to help users build larger professional communities with new LinkedIn Groups. According to their team, users consistently asked for better ways to talk with other professionals about specific industry trends, stay connected with fellow alumni, plan networking events, and discuss other pertinent topics. The new features will allow users to record and share videoes, message from anywhere on the site, and see when connections are online. More engaging conversations: To give you richer ways to participate in your groups, you’ll now be able to post original videos, multiple images, and other rich embedded media. You’re also able to reply to comments and edit your posts and comments. 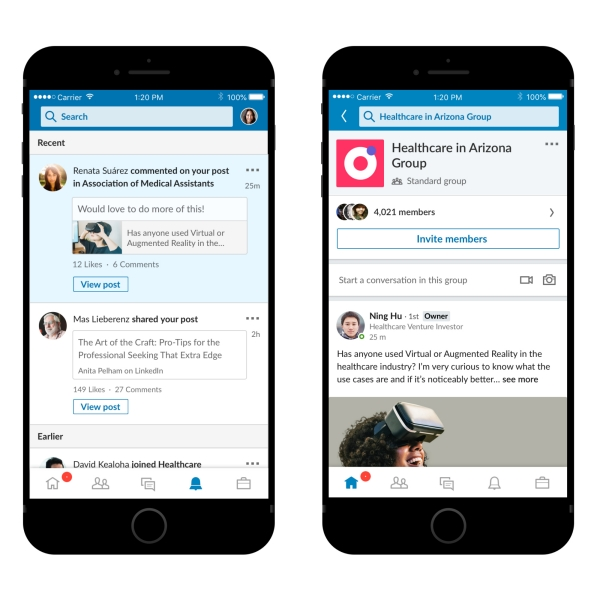 Always stay up-to-date: We’ve heard from you that you want better ways to keep up with the conversations and activity happening in your groups so we’ve added these notifications on LinkedIn. For example, you’ll be updated when someone comments on one of your posts in the group, or when new people request to join a group you manage. Access anytime, anywhere: Easily get involved in your groups on-the-go from the LinkedIn iOS and Android app. Admins will also be able to take all group management actions from mobile, such as messaging group members, accepting requests to join, or removing any posts that break group rules. Navigate to your groups more easily: You’ll be able to quickly find and get to your groups right a navigation panel on the LinkedIn home page. Keep the conversation going from your LinkedIn Feed: Soon you’ll be able to start and join conversations in your groups right from your main feed. You’ll be able to reply to comments or share an interesting article without having to navigate to your group. Easily discover new groups that match your interests: Looking for new groups you may want to join? You’ll be able to discover recommended groups based on your network and interests from the My Network tab on desktop. All groups are automatically being rolled into the new experience. LinkedIn hopes to make running personalized ads easier with new Dynamic Ad integration. 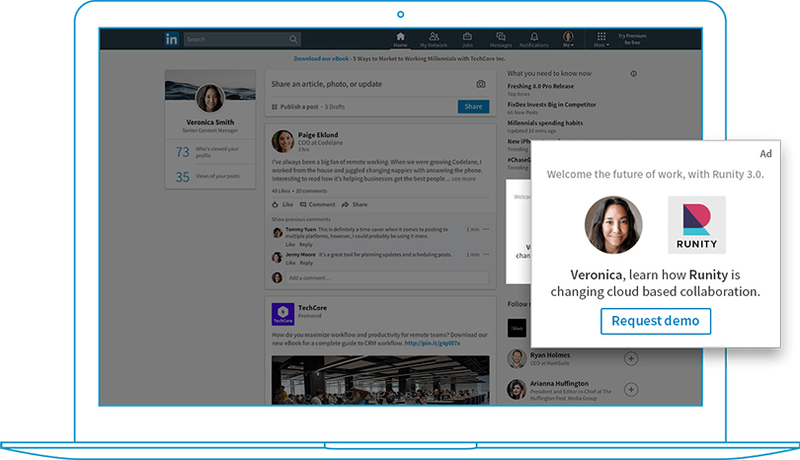 According to Ayusman Sarangi, Principal Product Manager for the platform, Dynamic Ads help build deeper relationships with audiences by automatically customizing ad creative with the publicly available information on LinkedIn member profiles. The new ads will allow users to personalize with each member’s profile info, such as their photo, first name, company, and job title. As part of their push to expand live-stream video consumption, Twitter will now lock live streams from followed accounts at the top of your timeline. 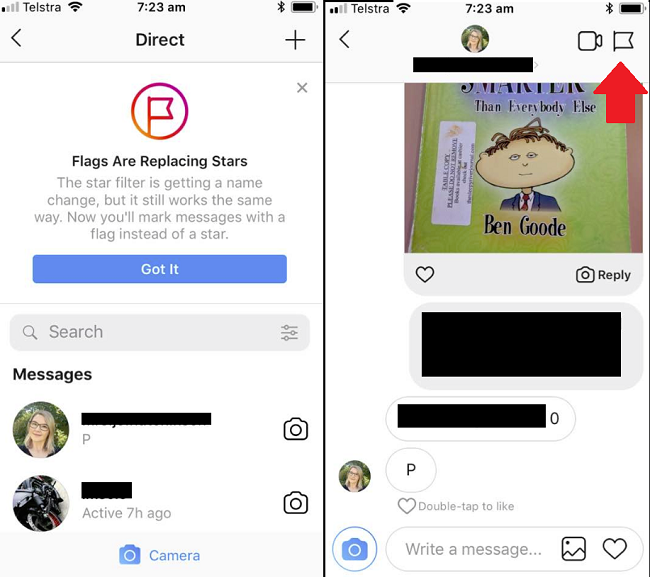 In a very unimportant move, Instagram announced that it will be replacing Stars with Flags. According to them, it will still work the same way, but now you’ll mark messages with a flag instead of a star.